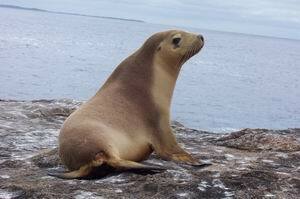 The Australian sea lion population decreased due to harvests in the 17th and 18th centuries and traditional subsistence hunting by aborigines (Goldsworhty & Gales 2008). Isolated reports of deliberate killings have persisted into the 21st century as well (DEWHA 2010). Although the species is now protected by Australian law throughout its range, recovery towards pre-sealing levels has been minimal (Goldsworthy and Gales 2008; AFMA 2010). 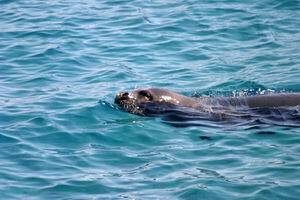 The once-abundant Mediterranean monk seal has been adversely impacted by human activities, ranging from exploitation for fur and oil to habitat fragmentation that have occured over many centuries. Today, one of the greatest threats facing the remaining seals is accidental entanglement in fishing nets. Bycatch mortality occurs throughout the species' range, and has been increasingly problematic since the 1980s (Guclusoy et al 2004).